Australian Magpie-larks are a resident breeding species in our garden. 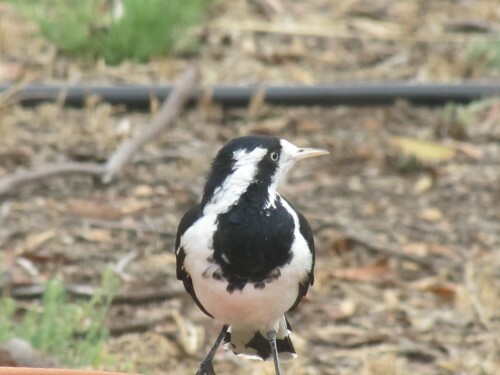 The usually make their mud-lined nests in one of the tall eucalypt trees next door, but some years ago they decided that one of our trees was suitable. Despite not gracing us with their lovely nests, I regard them as a resident species. 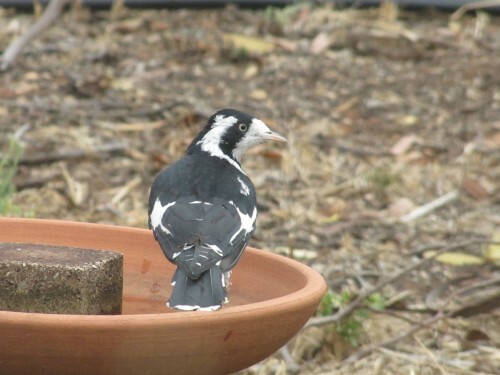 We see them in our garden every day and they are frequent visitors to our bird baths, especially on hot days. And we’ve had plenty hot days over this summer, including a record breaking series of heat-waves. 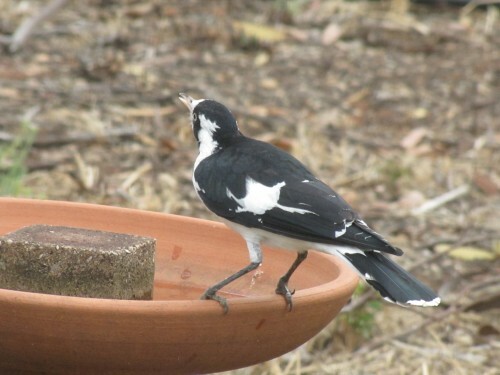 During one visit last week I managed this series of photos of a female as she came to the bird bath. Usually they come in pairs, calling loudly as they approach and then drink. 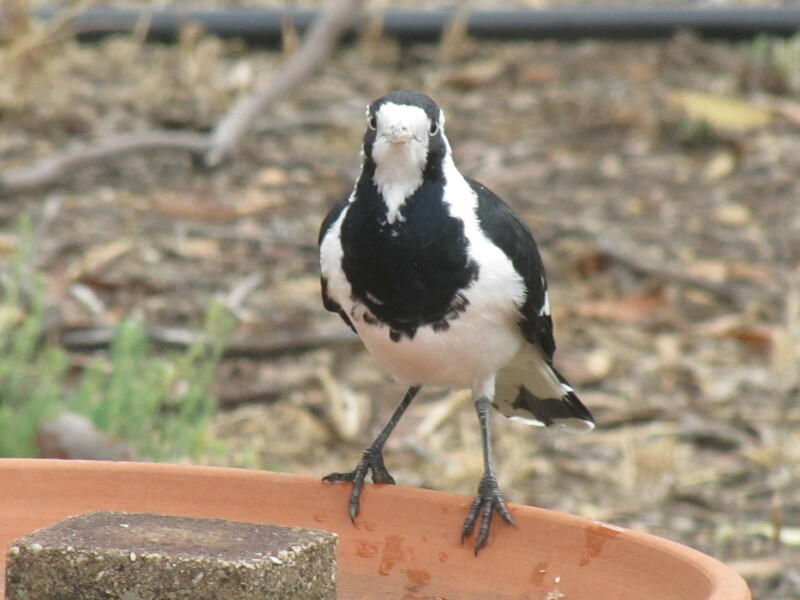 While we have seen a magpie lark couple in the backyard, we mostly see just the one. He comes whenever I mow the lawn to have a good browse and peck.